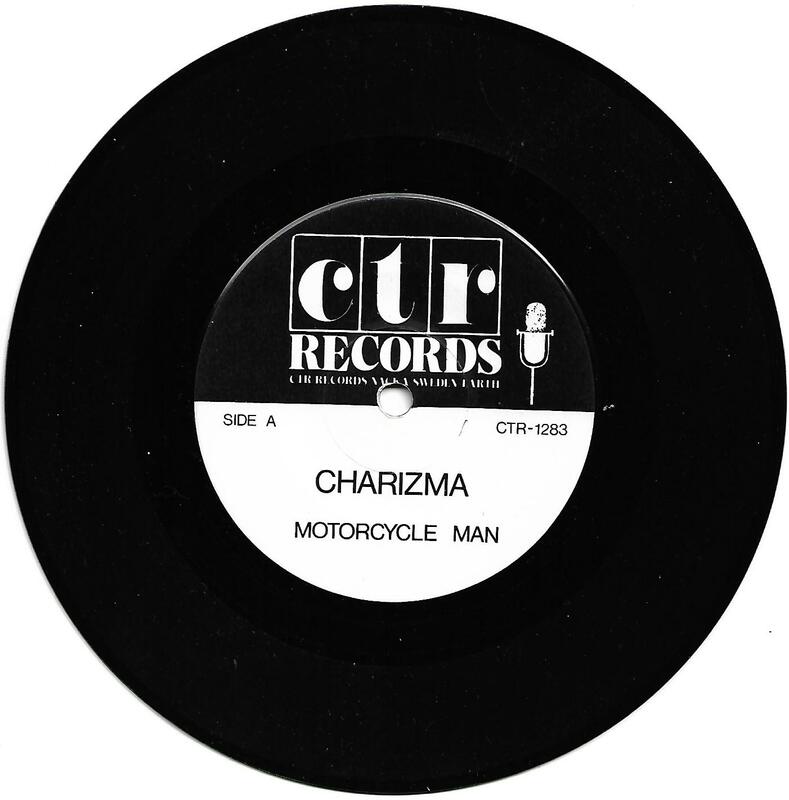 7" - WANTON - MOTORCYCLE MAN / I WANT YOU Original group name "Charizma" on labels, mega-rare! Rare hard rock single from southern Sweden! The group was originally called "Charizma", but due to a name conflict they changed their name to "Wanton", and therefore placed a sticker with the new name over "Charizma" on the labels before the release of their single. However, a few copies (of the edition of 500 copies) exist without this sticker and with the original group name visible on the labels, and this is one of those! Copies without the stickers didn't get any picture sleeve.